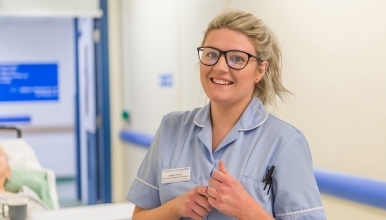 An exciting opportunity has arisen for a Band 5 Staff Nurse to apply for a position in the Ophthalmology Outpatients Department mainly working within Urgent Eye Clinic. The Ophthalmology department is rapidly expanding and is based within a newly purposed designed building. We are seeking a caring, motivated and enthusiastic nurse who wishes to further their career within Ophthalmology, with an interest in the emergency Ophthalmic conditions. Part of the role will require the successful candidate to provide telephone and face to face triage whilst also gaining the knowledge and understanding in slit lamp skills under guidance from the consultants. The successful candidate will undertake an individualised programme of training for all other clinical skills, including a competency assessment package. Ophthalmology course is desirable but not essential. You will be part of a multi-disciplinary team working within the Ophthalmology service providing professional and clinical support to patients. They must demonstrate a high level of practice and knowledge whilst participating in direct evidenced based patient care. You must possess good communication skills and be able to work well as part of a team. You must be flexible in your approach and be able to respond appropriately to the demands of an ever changing workload. Recent experience in Ophthalmology or an Urgent care setting would be beneficial to the role but not essential. The urgent eye clinic service operates 7 days a week with limited service at weekends, therefore the successful candidate must be flexible to meet the needs of the service. Together with our staff, we have developed a set of Values, which form a framework for a positive and supportive environment for our patients, visitors and staff. We believe that all candidates should be able to demonstrate and be equally committed in fulfilling these Values to be successful in their application. In return we offer you a strong commitment to teaching and education, whilst working within a friendly and supportive team who are committed to providing and maintaining high standards of patient care.